Our auto repair shop in Mesa, AZ which is rated almost 5 stars (see our real google reviews here to see) was founded to bridge the gap between affordability and high-quality repairs. 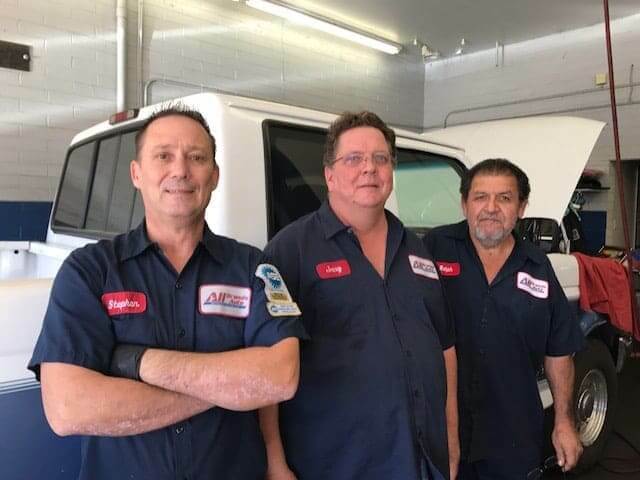 With more than two decades experience to back us, today we are a trusted choice of many customers in Mesa AZ and surrounding areas for auto repair. Our excellent team of well trained, certified and highly professional car , truck and RV mechanics work hard to fix and maintain all brands and models vehicles with utmost precision without paying dealers pricing! Yes, at our auto repair shop, you get the SAME quality and we us the same diagnostic equipment as the big dealers and big box repair shops, but you get our DISCOUNTED pricing, and the SAME guarantees as a dealer shop! Our mechanics bring the knowledge, andYEARS of expertise of a well-established service center for older, luxury and family cars, all while preserving the attention that a family owned, local AZ business gives. The construction of the Mesa light rail may make us a bit more challenging to get to us- but you will see rewards from trying our car and truck repair center out! Why choose All Brands Auto of Mesa for automotive repairs and services? We are an Arizona locally owned and operated TECH-NET Professional Auto Service Center conveniently located in central Mesa. We save customers money! This is why many of our customers have been coming to us WITH THE SAME car for over 20 years! We want to improve safety and performance of your vehicle. Please call us at (480) 962-6117 or stop by All Brands Auto Shop in Mesa now for AFFORDABLE top quality truck & car repairs such as: transmission issues, squealing brakes, failed emission test, bad A/C, car electrical problems, or oil changes! Save your Money with our BIG Discount --Get 20% OFF on your Car or Truck Repair NOW!